DON'T KICK US TO THE CURB! | Safety Tank of Maryland, Inc.
DON'T KICK US TO THE CURB! 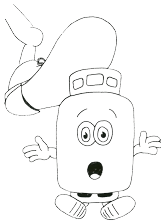 We reduce waste and keep your facility safe from the potential hazards of discarded propane tanks. Accepting only empty tanks encourages people to improperly dispose of their tank(s) or release unacceptable amounts of propane into the atmosphere. In addition, most scrap metal dealers are not satisfied just having the valves removed, and prefer tanks to have more than one opening or be cut in half to ensure complete gas expulsion. Propane tanks are not accepted in curbside recycling. Use us in conjunction with your HHW programs. If your county or retailer doesn't accept used propane tanks, ask them to contact us. Copyright ©2012 Safety Tank of Maryland, Inc.